With donations from the Victoria Police Blue Ribbon Foundation the Colac Hospital was able to upgrade facilities in their Emergency Department through the inclusion of a dedicated resuscitation Unit. The equipment purchased for the unit a start of the art, portable ventilator that can also be carried by the local ambulance to provide critical patients in outlying areas with immediate life support that can stay connected on arrival at hospital. Additional funds were also donated so that a Grief & Counselling room could be created for the comfort and privacy of relatives and friends who have patients in the emergency department. Both of these units were funded in a partnership between the Victoria Police Blue Ribbon Foundation and the local community through the Colac Branch. The Resuscitation Unit and the Grief & Counselling Room were dedicated as a Police Memorial in memory of Senior Constable Stephen Henry of the Traffic Operations Group who was murdered in 1982. 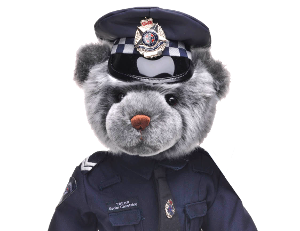 On Thursday 29th January, 1982 Senior Constable Henry was on duty riding his motorcycle along the Hume Highway at Wandong, near Seymour when attempted to intercept a motor car that was being driven recklessly. Unknown to S/C Henry, the vehicle was stolen and being driven by a man who had recently escaped from a Sydney psychiatric hospital. The offender pointed a high-powered rifle at the officer and fired, inflicting massive head wounds. Senior Constable Henry died in hospital on March 1st, 1982 without regaining consciousness.